Microsoft usually likes to play a bit of jujitsu when it comes to the security of their products – as someone who’s had massive, critical, exploitable bugs in Windows in a corporate system who’s been told “a patch will come out next Tuesday” and it’s Thursday, I know that all too well – and they’re continuing to do so with their Kinect device. After news that open sourced drivers had been made available to make the device read input on PCs, Alex Kipman, the director of incubation (?) for Xbox, stated in an interview with NPR sourced here) that they left the holes open for people intentionally. He claims this is fine because no one has actually “hacked” the Kinect. “The first thing to talk about is Kinect was not actually hacked. Hacking would mean that someone got to our algorithms that sit on the side of the Xbox and was able to actually use them, which hasn’t happened. Or it means that you put a device between the sensor and the Xbox for means of cheating, which also has not happened. That’s what we call hacking, and that’s why we have put a ton of work and effort to make sure it doesn’t actually occur. 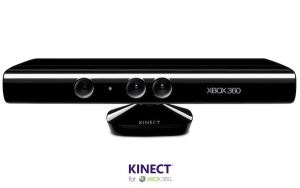 What Mr. Kipman is saying is that anything that has been done to Kinect, they figured would happen anyway. Therefore, it was confirmed by Mr. Kipman that Microsoft won’t be going after anyone who’s gotten the device’s drivers working so far, saying “Nope. Absolutely not” when asked about it. The reality is that so far, no one has managed to really “do” anything. All that anyone’s done so far is made the device connectable to the PC, at which point it becomes an exceptionally poor webcam with some RGB elements thrown in (source). It’s not ready to have anything actually written for it yet, either on the Xbox or on the PC. Once that happens – once someone actually manages to take Kinect development to the point where homebrewing could be done – then I think Microsoft’s legal tone will change quickly. As of right now, because nothing is able to be played, there’s really no infringement going on, and Microsoft going after the person that made the device drivers would do nothing but hurt the company from a PR standpoint.